Home » Headlines » Technology » Will the 5G Chip Make Mobile Payments Faster? The mobile payment industry is constantly evolving and growing in popularity. Not only are older financial institutions such as banks allowing us to manage our accounts from our smartphones, but there are also hundreds of alternative payment methods available for mobile users. The future is, undeniably, mobile. Users and customers want everything to be available at the tap of a screen, and they want it to be efficient and convenient too. This is what has led to the development of 5G – the fifth wave in mobile data technology which promises to be better and faster than ever before. Combine the two statements made above and it’s easy to see why 5G may be considered as vital for the future of mobile payments. 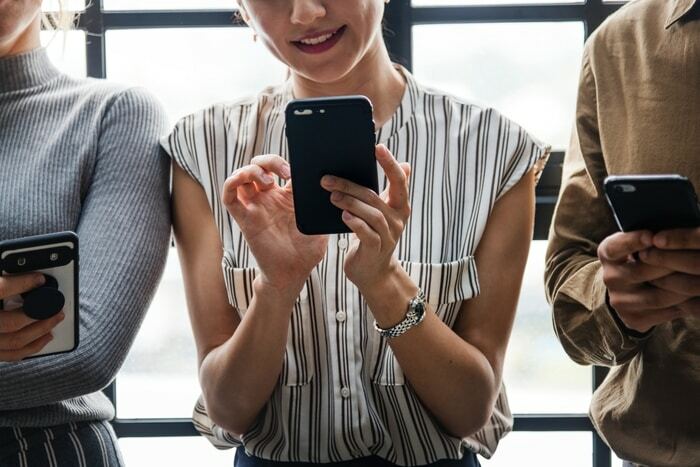 Read on to learn how mobile payments will actually change when 5G arrives in the UK, and what benefits you will see as customers. Why Do Mobile Payments Need 5G? If you already use mobile banking and mobile payment services, you may be wondering why 5G is necessary. These services work perfectly well on 4G at the moment and will continue to improve even before the new mobile data technology comes into place. Once 5G is live in the UK, customers can expect super-fast download and upload speeds. However, 5G is as much about low latency rates as it is about fast downloads. This is where it will become invaluable to the mobile payment industry. Latency refers to the time it takes for a device to send a command to a remote server and to receive a reply. On 5G, latency will reduce from 50 milliseconds to under 1 millisecond. Essentially, this means that all mobile transactions will be instant. And truly instant – we won’t be waiting for pages to load, even for a matter of seconds. This is also essential in the world of FinTech as it will allow third-party services, such as PayPal and other e-wallets, to complete transactions faster. They’ll be able to contact the bank, the merchant and the customer all in the blink of an eye. How Else Will The Mobile Payment Industry Change with 5G? Aside from super-fast transactions, 5G will definitely bring some huge changes to the mobile banking industry in general. No More Credit/Debit Cards – 5G comes with enhanced security features which will make it safer for people to use mobile wallets, instead of using plastic cards. More Mobile Services – As 5G speeds up everything, we can expect more mobile payment optimized services. This may include more P2P payment providers, more mobile shopping apps and more entertainment services, such as phone bill casinos and streaming platforms. When Will 5G Launch in the UK? When 5G was first announced, it was expected that it would take until 2020 for the new services to get off the ground. However, due to the competitive nature of the industry, much has been achieved ahead of time. We, therefore, can now expect 5G smartphones and networks to arrive before the end of this year.